COME October next year Les Miserables will have been running for 30 years in London, longer than any other musical. Well, I suppose it’s possible Cameron Mackintosh will close the show before then, just as it is possible I will win a large amount of money in the lottery, but I wouldn’t bet on it. Thirty years! Who would have thought it? Certainly not the critics who failed to see its merits when it opened at the Barbican in a Royal Shakespeare Company production staged by Trevor Nunn and John Caird. It was described by Michael Ratcliffe in The Observer as “a witless and synthetic entertainment” and by Francis King in The Sunday Telegraph as “a lurid Victorian melodrama produced with Victorian lavishness”. As Lyn Gardner – who was one of the nay-sayers in 1985 – suggested in The Guardian in 2010 on the occasion of the show’s 25th anniversary, Les Mis succeeds precisely because it is a Victorian melodrama, a story that deals in big emotions and wears its heart on its sleeve. There is no ambiguity in this version of Victor Hugo’s sprawling 1862 novel. Against a roiling background of social injustice, a good man is hounded by a self-righteous one. The nobility of self-sacrifice, the pain of unrequited love, the pathos of early death, the rapacity of opportunists, the gallantry of young idealists – these qualities are deliberately drawn in bold strokes. So no, this isn’t subtle theatre nor is it intellectual theatre. It is the theatre of the direct hit to the heart. If this is synthetic entertainment, so be it. The more than 65 million people who have seen it love it to bits and its creators are crying all the way to the bank. The staging that opened in Melbourne this month hasn’t supplanted the original version – Mackintosh claims the West End production may have another decade of life in it – but is in the interesting position of being a revival of something that never went away. Thirty years is a long time in theatre technology and this version takes advantage of them. 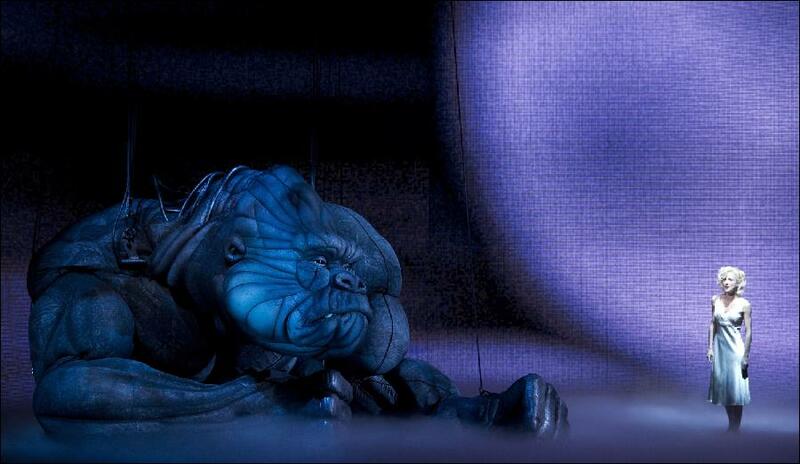 The staging has the fluidity of a dream, emphasised by darkly romantic atmospherics created by projected backgrounds (Matt Kinley’s designs were inspired by Hugo’s paintings). The stage picture is often startlingly beautiful and always theatrically effective. At the matinee I saw Simon Gleeson (Jean Valjean) and Hayden Tee (Javert) were riveting antagonists and both in superb voice. Gleeson sang Bring Him Home with touching grace and crowned it with streams of pure gold in falsetto; Tee was equally persuasive in creating character through timbre and phrasing, dark and aggressive. As Fantine Patrice Tipoki brought fresh insights to I Dreamed a Dream, starting simply and almost conversationally, while Kerrie Anne Greenland, making her professional music theatre debut as Eponine, is a huge find. The vile but perversely life-affirming Thenadiers were in the effortlessly scene-stealing hands of Trevor Ashley and Octavia Barron Martin, the latter substituting brilliantly for injured Lara Mulcahy. Light-voiced Euan Doidge (Marius) was a little under-powered in this company but gave a sensitive reading of Empty Chairs at Empty Tables. Is Les Miserables a better musical than Stephen Sondheim’s Into the Woods? No, it’s not. 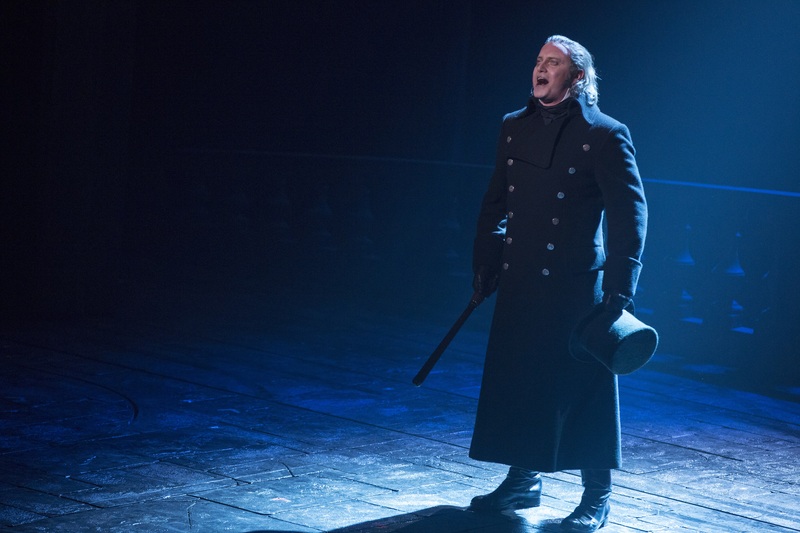 There can be no argument that the Les Mis music, while exceptionally tuneful and stirring, can draw too often on bombast for effect and some of the lyrics land with a thud. Sondheim is, as we all know, a genius. But there was no doubt that Les Mis offered much more pleasure than did Victorian Opera’s production of Into the Woods. And yes, I’m taking into account the great differential in budget between the two. Obviously one has to cut one’s cloth according to one’s purse, but I have seen many cash-strapped theatre productions that have found better solutions to staging issues than did VO for Into the Woods. The main set element, cut-outs of trees that slid back and forth, failed rather dismally in its task of creating a sense of place and atmosphere. Queenie van de Zandt was in killer voice as the Witch, Lucy Maunder was a lovely Cinderella, Rowan Witt was an appealing Jack and in the pivotal roles of Baker and Baker’s Wife David Harris and Christina O’Neill each had fine moments. Overall, though, there was a decided air of the production having been put on too quickly and without the best solutions found to stretching finite funds. (Not that the tickets were cheap – mine was $100 and that wasn’t top price.) The people involved were all highly experienced and Orchestra Victoria sounded just fine in the pit, but I couldn’t help but think a concert version may have been the way to go. Phillips appeared in this production of The King and I when it went to Broadway in 1996 after premiering in Adelaide in 1991. He was nominated for a Tony award so he has good form in the role, and, as he is partly Filipino in heritage, has the advantage of looking a credible King of Siam. He’s a charismatic, forceful one too and has excellent chemistry with Lisa McCune’s pitch-perfect Anna. I enjoyed his performance greatly. So, three musicals in the space of 36 hours and I had not exhausted Melbourne’s music-theatre possibilities. See what can happen if you don’t pull down all your theatres? Les Miserables, Her Majesty’s Theatre, Melbourne. Then Perth in January and Sydney in March 2015. 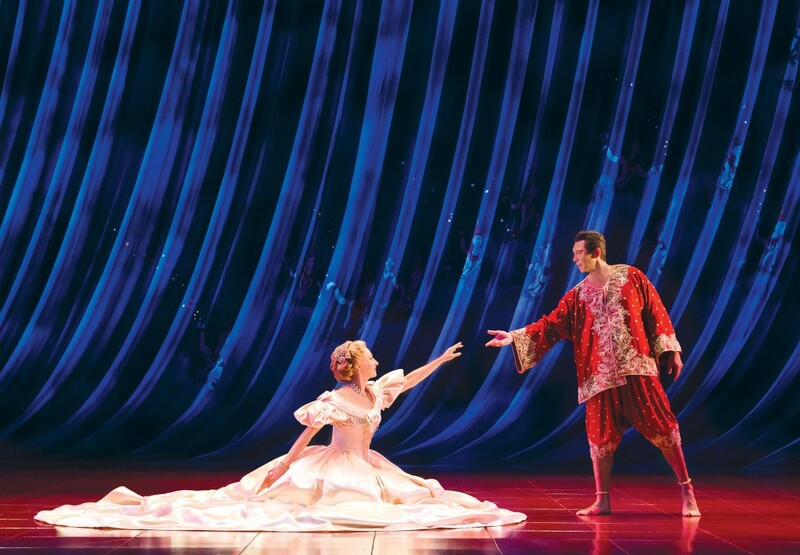 The King and I, Princess Theatre, Melbourne, until August 17. Sydney, September 7-November 1.